If you’re a luxury Swiss watch brand that prefers to sell its merchandise via its own boutiques where maximum profit can be realized, how do you promote that? By releasing limited “boutique only” editions of course. The thing is, if they’re less than stunning it kind of defeats the whole purpose. So kudos to Breitling for a home run with its beautiful new Chronoliner B04 Boutique Edition. The Chronoliner is already one of Breitilng’s coolest models in our view, though it gets a lot less attention than the Chronomat and Navitimer. The big deal about the new Chronoliner B04 Boutique Edition is simply the fact that its rendered in a natty navy blue hue instead of black. This version of the Chronoliner, made for flight captains, also features the Manufacture Breitling Caliber B04. It’s main appeal aside from aesthetics is an enhanced GMT function allowing the wearer to keep track of three timezones simultaneously: a red-tipped hand keeps track of home time in 24-hour mode, while the rotating bezel in high-tech ceramic marks a third timezone, also on a 24-hour scale. Perfect if you plan on traveling this summer. Another clever feature of this watch is a dark blue “Aero Classic” rubber strap made to resemble a vintage Breitling metal mesh band. 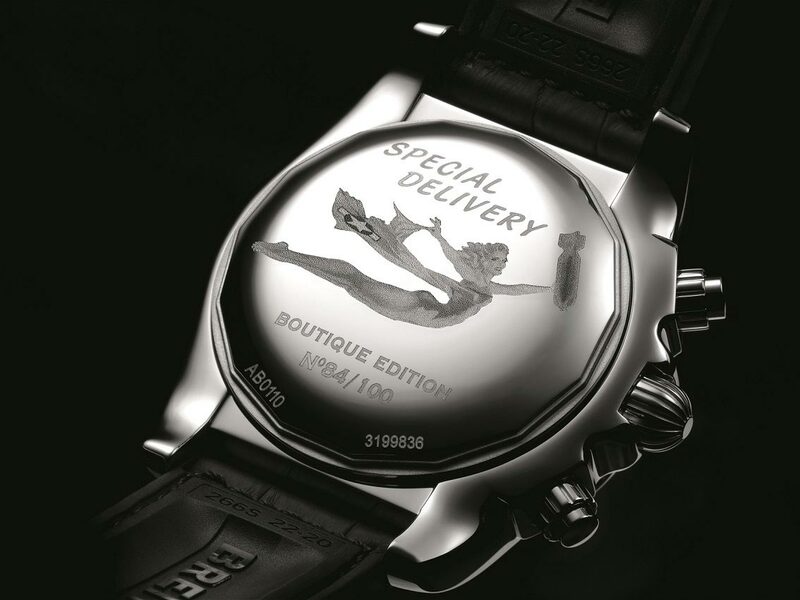 Limited to just 100 pieces worldwide, the Chronoliner B04’s case is water-resistant to 100 m (330 ft), its sapphire crystal is glare-proofed on both sides, and it’s equipped with a specially engraved caseback featuring a vintage-look airplane “nose art” style pin-up and “Special Delivery” inscription. 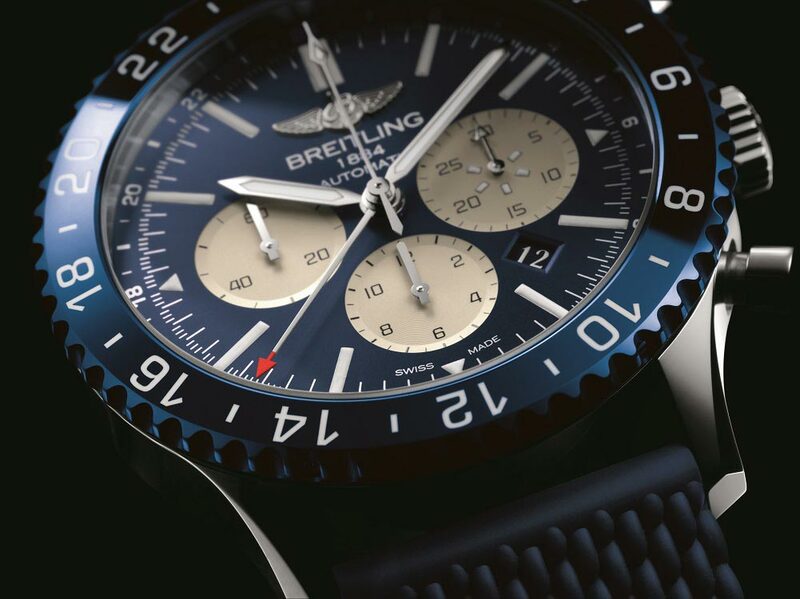 Of course it’s available exclusively from one of the 50 Breitling boutiques around the world. 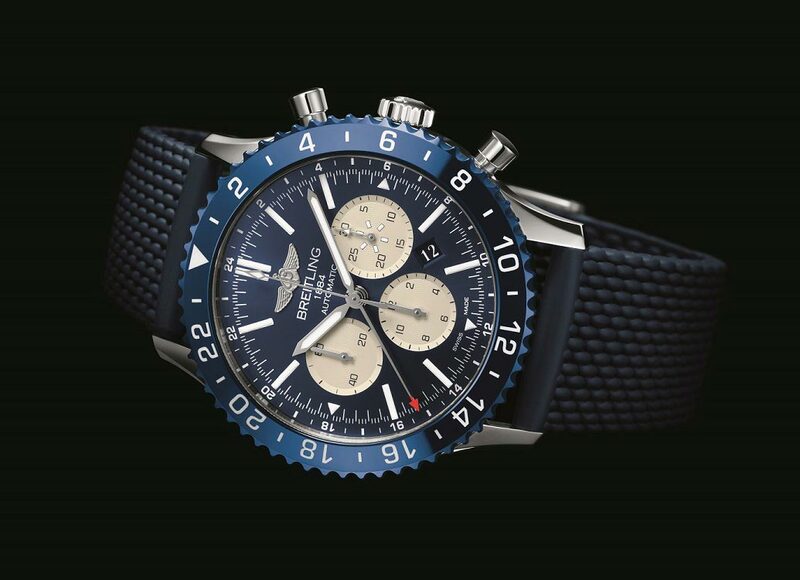 Breitling is releasing another boutique-one timepiece, though it doesn’t have half there charisma of the blue B04. 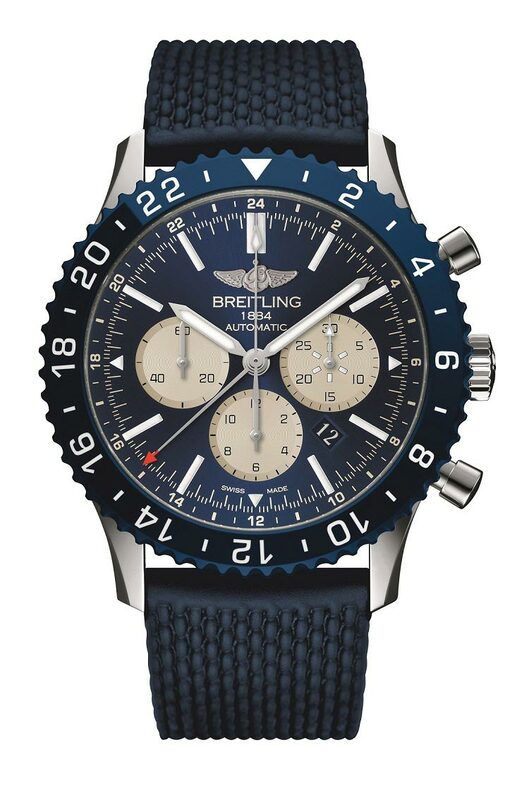 In addition to the B04 Chronoliner Boutique Edition, Breitling is releasing another boutique-one timepiece, though it doesn’t have half there charisma of the blue B04. The Chronomat 44 Boutique Edition is home to the Manufacture Breitling Caliber 01 water resistant to a depth of 500 m (1,650 ft), giving it diver’s watch cred. This version features a blue “Vietnamese” mother-of-pearl dial as well as the engraved caseback featuring the WWII-era pin-up girl and is also numbered from 1 to 100. Breitling does very well with the Chronomat line though we’ve always preferred the vintage versions. The Chronoliner is the clear winner here. What is your favorite part of this watch?